The 2018 International Consumer Electronics Show (CES) wrapped up in Las Vegas over the weekend. The annual conference is the year’s biggest technology summit, and the place where most tech companies choose to announce their latest products and prototypes. Here are some of the most buzzworthy announcements and launches that took place over the three-day event. Some of the gadgets you can expect to see in homes before the year is out; some not so much. Korean tech giant LG unveiled a prototype TV that can be rolled up like a poster. Thanks to OLED technology, the organic light emitting diodes that make flexibility possible, the 65-inch 4K screen can be bent or folded in any direction. Sadly, there are currently no plans to put the prototype into production. Peloton, the US-based startup that revolutionised indoor cycling in under five years, launched its first treadmill, the Peloton Tread. The company hopes the same features that made its bike a runaway success will translate to the Tread. Namely: sleek design, high-end hardware, and a 4k screen to live-stream fitness classes from top instructors. Chinese-backed electric car startup Byton unveiled its concept SUV at the conference. Critics are divided on whether the vehicle—which features a 49-inch dashboard display and Alexa connectivity—can take on US electric car giant Tesla, even with a price point 40 per cent lower than Tesla’s SUV, the Model X.
Sony’s cute robo-pooch Aibo is back with a second edition, this time with advanced AI—proving you can indeed teach an old dog new tricks. The device collects data on its owner’s commands and reactions to help it develop a unique personality, meaning no two Aibos will be the same. The robo-companion is on sale in Japan now, with an international release scheduled for later this year. The robot known as Sophia, from Hong Kong-based robotics firm Hanson Robotics, unveiled the ability to walk at CES—the result of a collaboration with two US-based robotics specialists. 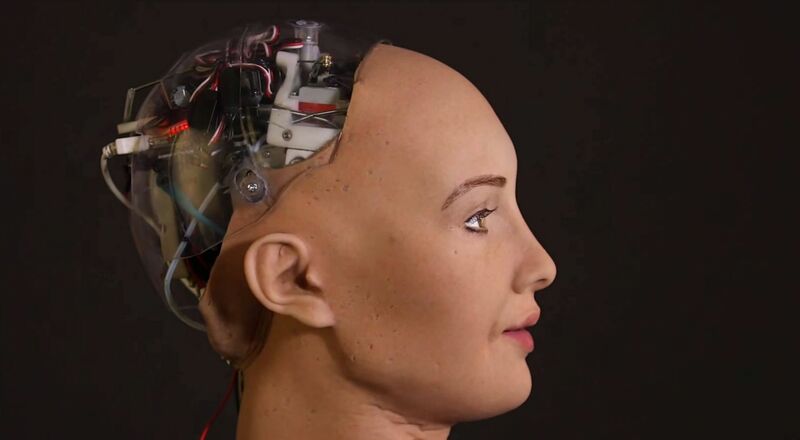 It’s the latest in a long line of firsts for Sophia, who in 2017 became the first robot to be granted citizenship, appeared on The Tonight Show and addressed the UN. Just this weekend, she wasn’t too busy walking to strike up a friendship with US model Chrissy Teigen on Twitter.